She began producing music on Logic software and writing rap breakdowns for her sister’s songs at age 12. Her family relocated to Melbourne, Victoria when she was 15. She then taught herself how to play bass guitar so she could start a band. Shortly after establishing an all-female punk band with her best friends, they toured Australia extensively for 3 years. 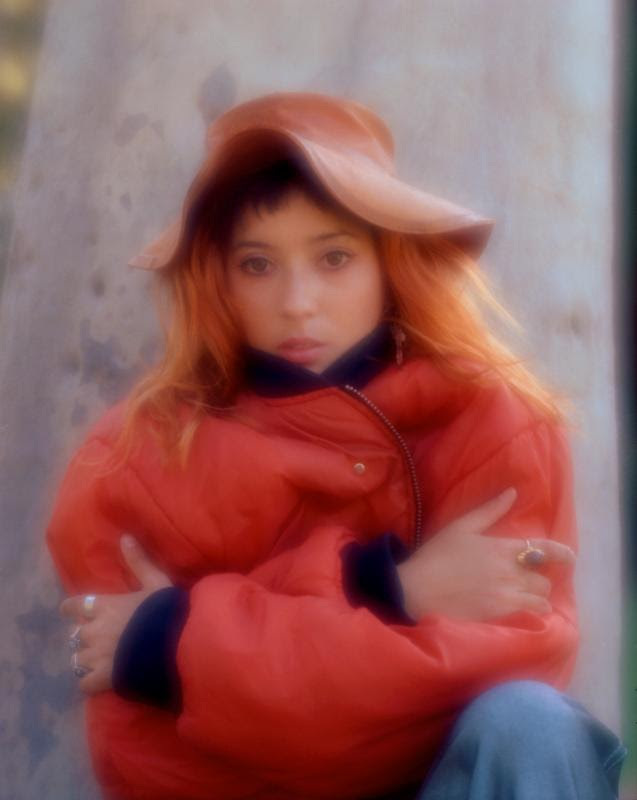 Some time thereafter “Chela” (a long-standing nickname) was born, self-releasing her first single “Plastic Gun,” co-produced with Ben Ely (Regurgitator) and receiving airplay on Australian national radio. In 2013 French tastemaker label Kitsuné released “Romanticise,” co-produced with DCUP, gaining Chela international attention. In 2014 Chela performed at SXSW, Coachella and supported Classixx and The Presets on their North American tours. She has also collaborated with several music groups, including Goldroom on his summer-anthem “Fifteen’ “Clubfeet on their highly-rotated single “Heartbreak,” and queer pop-punk cult hero Seth Bogart on his debut self-titled solo album alongside Kathleen Hanna and Tavi Gevinson. In 2017 Chela is finishing her debut EP, recorded with Chris Zane (Passion Pit, Les Savy Fav) at The Dairy Studios in Brixton.